WARNING! ONLY USE THIS ON THE GT-I9192 MODEL! I'm happy to finally release ClockworkMod recovery and an insecure kernel for the GT-I9192. With these two installed on your device, obtaining root is easy. Extract recovery-clockwork-6.0.4.4-serranodsub.tar.zip file to your computer. Copy the "S4Mini_RootKit_v1.zip" to your device SD card. Select "recovery-clockwork-6.0.4.4-serranodsub.tar.md5" file that you previously extracted, and press Start button. The phone will reboot when finished. 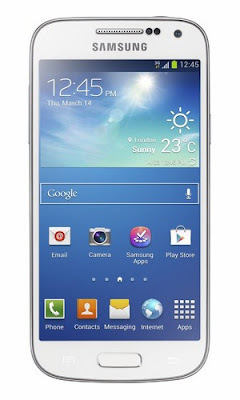 0 Respones to " RECOVERY ROOT Samsung Galax S4 Mini Dual SIM (GT-I9192)"